Sunshine 24 is a member of the Sunshine Laundry Group. With over 20 years of experience and more than 60 outlets, Sunshine Laundry has long been the leader and innovator in the Hong Kong domestic laundry market. 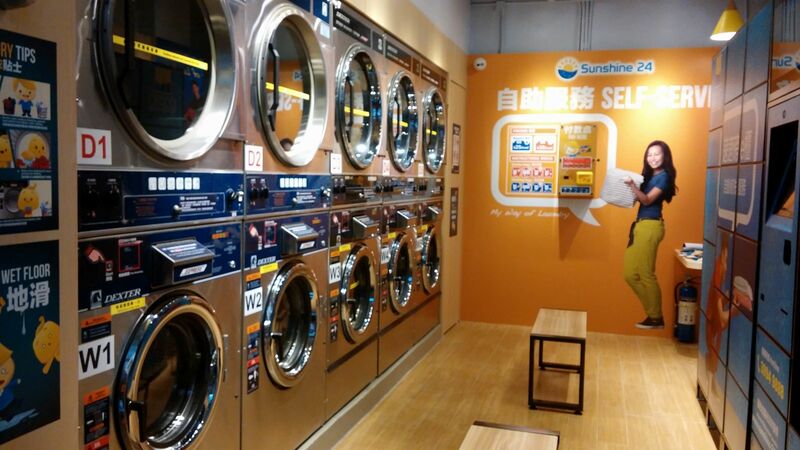 Sunshine 24 is the first 24-hour laundry chain in Hong Kong that integrates self-serve laundry and “Choo Choo eBox” laundry drop-off service. We use US top brand, Dexter, professional washers and dryers to provide customers with superb cleaning results. Curtains, beddings and daily clothing can all be easily cleaned by our heavy duty machines. Our patented “Choo Choo eBox”, available 24 hours a day, is designed for busy people who go to work early or return home late. Customers can drop off their laundry bags and collect the washed and folded items at their convenience. We also provide laundry pick-up and delivery service. Customers can enjoy our professional laundry and dry cleaning services by placing their orders at home. Founded in 1993, the Sunshine Laundry Group has been in operation for over 20 years with more than 40 shops and over 200 employees. The Group has been highly recognized by customers for its professional and attentive services. The Sunshine Laundry Group takes pride in its hardware and management system. The 20,000sq.ft self-owned factory is located in San Po Kong and equipped with the latest laundry facilities. The Company has integrated the Japanese automatic operation system and the “5-S®” management module to provide the best care for each piece of laundry item. “Benevolence depends on oneself (為仁由己)” and “educating people at work (以工作育人)” are the core believes of the Sunshine management team. Sunshine 24 intergrates Chinese and Western management philosophies to provide on-the-job trainings for staff so that they could grow personally and understand customers’ needs. The Company has always been innovative in applying modern technology to provide better services to customers, for example, the 24-hour self-serve laundry service, patented “Choo Choo eBox”, automatic packing machine, Toyota-style operations management system, laundry delivery service, and so on.